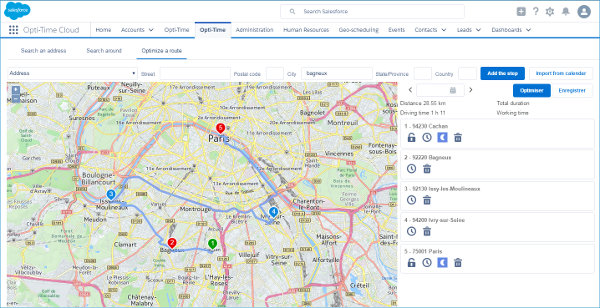 More features, constraints managed, countries covered and greater openness: TourSolver Cloud 3.0 makes route optimization in the cloud even easier, more accessible and user-friendly. 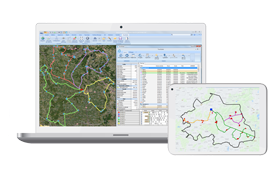 GEOCONCEPT is today announcing the launch of TourSolver Cloud 3.0, the new version of its SaaS route optimization solution. This tool enables logisticians, planners and mobile resources as a whole to define optimal route plans in 4 steps, while taking account of the constraints imposed not only by customers and human resources but by each vehicle’s specific characteristics as well. With Opti-Time Cloud 3.0, the customer experience is at the heart of enhancements with this new version for even greater geographical optimization in the cloud. 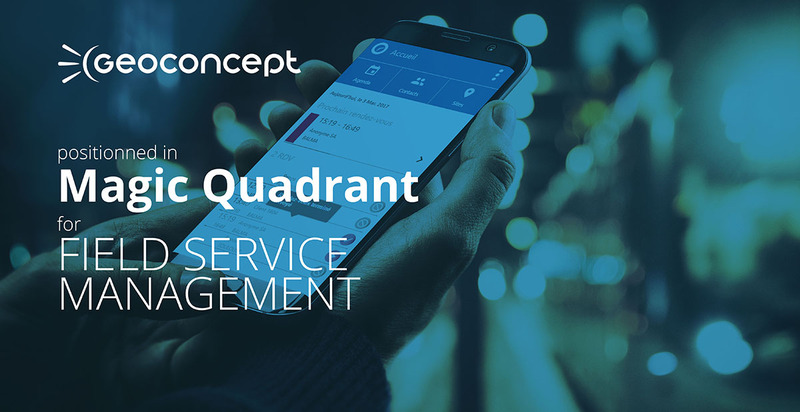 GEOCONCEPT is today announcing the launch of Opti-Time Cloud 3.0, the new version of its field service management cloud application. 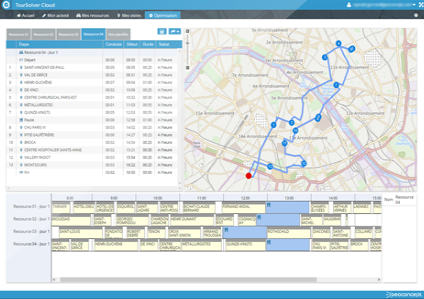 As a cloud-based geographical optimization reference solution fully integrated with the Salesforce environment, the Opti-Time Cloud 3.0 app is receiving a makeover and putting the geographical experience at the heart of its new features to improve companies’ organization of their day-to-day activities. Available on the AppExchange, Opti-Time Cloud enables decision-makers and operational staff to improve their customer knowledge, to better prepare their movements throughout the day and to optimize the schedules of different resources over several days. Professionals will be able to exploit the potential of their geographical data to the full by leveraging a more powerful and user-friendly geo-optimization engine. 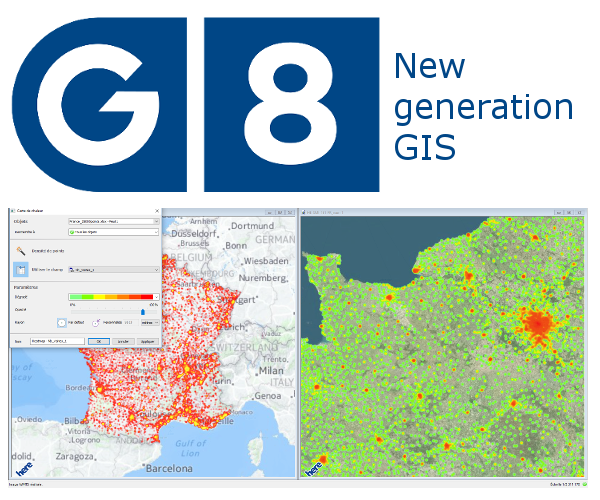 GEOCONCEPT is announcing the launch of Geoconcept 8.0, the major new version of its geo-optimization engine, which enables data to be collected, represented, organized, analyzed and published on a map view. Whether locating prospects, field resources or sales outlets, geolocation practices have become an indispensable part of brands’ development strategies. This has triggered an explosion in the availability of spatial reference data that organizations must be able to collect and exploit effectively if they are to make the best decisions. 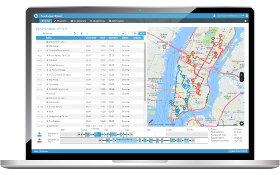 In this era of Big Geodata, GEOCONCEPT is unveiling Geoconcept 8.0, a new generation geo-optimization engine, designed to satisfy office application and map server requirements alike. GEOCONCEPT is listed as a Representative Vendor in Gartner Market Guide for Vehicle Routing and Scheduling. In its Vehicle Routing and Scheduling Market Guide, Gartner lists systems for automating the operation and optimisation of logistical, technical and sales activities. The GEOCONCEPT TourSolver vehicle planning solution is among the most influential on the market. The solution, which is suitable for all fleet sizes and available in cloud, server or desktop version, has already won over numerous clients from across the globe. GEOCONCEPT also received an Honorable Mention in the November 2016 GARTNER Magic Quadrant for Field Service Management. Save the date ! GEOCONCEPT organizes 5-day online conference on geomarketing From 14 to 18 November 2016. Geolocation, connected objects, local marketing ... The Geomarketing offers outstanding opportunities for optimizing operations and organizations. Geomarketing experts are sharing their knowledge during this unique online event. With its new features, this version considerably expands its optimization capabilities while offering an improved user experience. A cloud API is also available to enhance the existing applications of route optimization features. 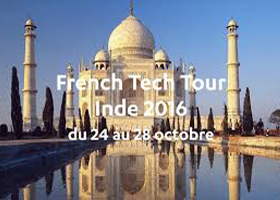 GEOCONCEPT will present to the India market its novelties in geo-optimization: geomarketing, field service management and logistics, from 24 to 28 October 2016 in the cities of Delhi, Bangalore and Mumbai.